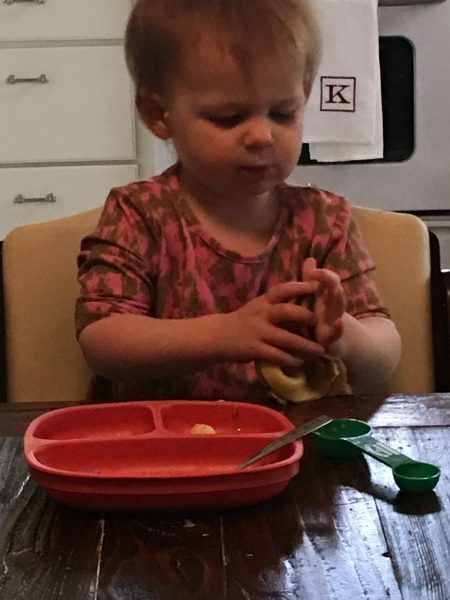 Sesame Street is still my favorite children’s show, but since watching that and many other shows with my granddaughter Virginia Rose this week, I have developed an affection for Peppa Pig, her family, and friends. 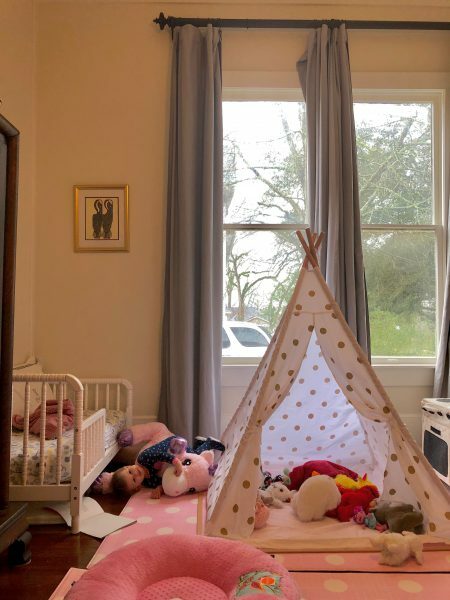 I sort of love their cute little English accents along with family activities. Do I sound like a grandma or what? 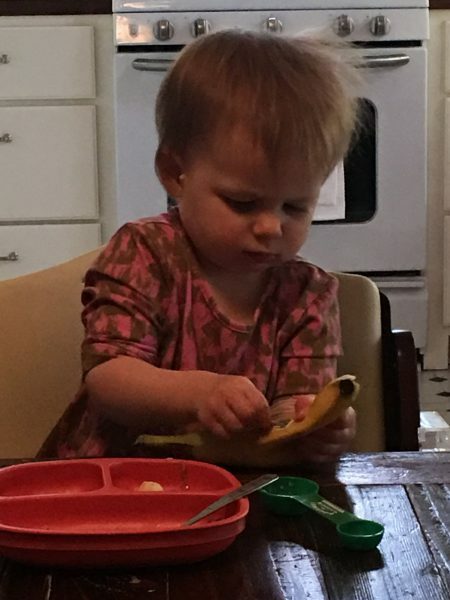 Since Virginia Rose, age 2 years, 2 months, got grandma hooked on Peppa Pig, I decided she needed something of grandma’s to love. She loves music as her daddy plays Elvis and others that she has learned so well, it was time to introduce her to the Fab Four AKA The Beatles, of course. Grandma: Here is Paul, John, Ringo, and George! Virginia Rose: Paul, John, Ringo, Pig! 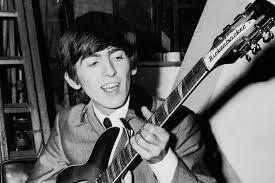 Grandma: No, that is George. Virginia Rose: No! Pig! Pig! Grandma was very confused until we turned on Peppa Pig again. I hadn’t noticed that one of the pigs was named George! Seems that the only person (or cartoon) Virginia Rose knew named George was a pig. So poor George will be known as Pig for a while! Apologies to George. 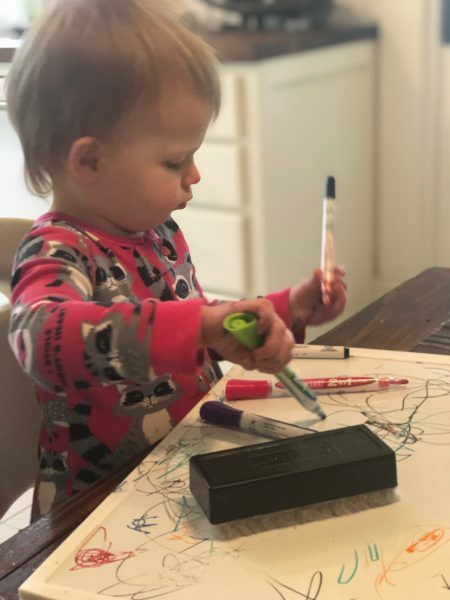 Besides learning about the Beatles and Peppa Pig, here are some other things we have been doing. Playing in the ever-popular tent with all the animal friends! Drawing and sometimes painting too. 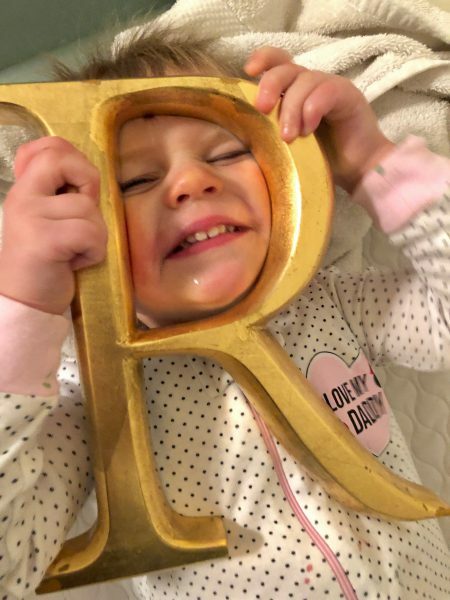 Today is brought to you by the letter R! Then put back what is not eaten and squish it back together! 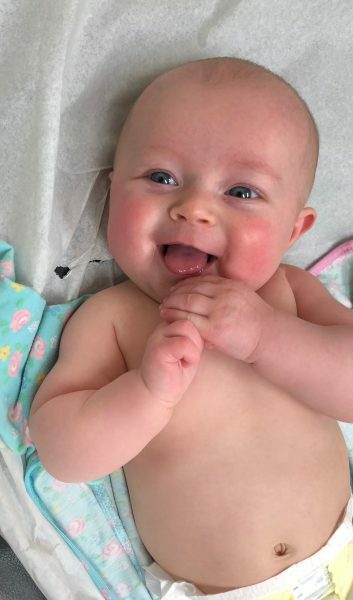 It’s always tickle time for Helen! And then lots of times, Grandma cooks. Kara and I found this recipe that sounded like a good lunch; a Chicken Pecan Quiche. I don’t ever recall sprinkling pecans on top of a quiche, but we are in Mississippi after all where pecans are very popular. It was really good! In a large bowl combine chicken, cheese, green onions, parsley, and flour. Toss to mix then sprinkle into the pie shell. In a medium bowl whisk together the eggs, half-and-half, mustard, salt, and pepper. Pour over the chicken mixture and sprinkle with the chopped pecans. Bake at 325 for about 55 minutes or until the quiche is cooked in the center. Remove from oven and let rest 5-10 minutes before cutting into slices. Serves 6. 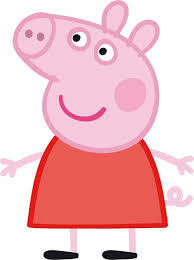 I love Peppa! I will miss watching it with Virginia Rose after I go back home. What a great time. Loved seeing the adorable girls. Thanks, Priscilla! How is Ariella doing? She’s adorable too! Pure joy! 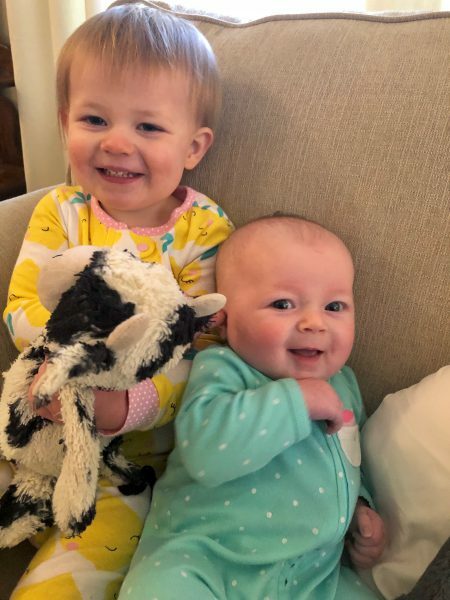 Wonderful that you get to spend some time with those adorable granddaughters of yours. They are so precious! And some delightful time cooking in the kitchen with Kara is so special. 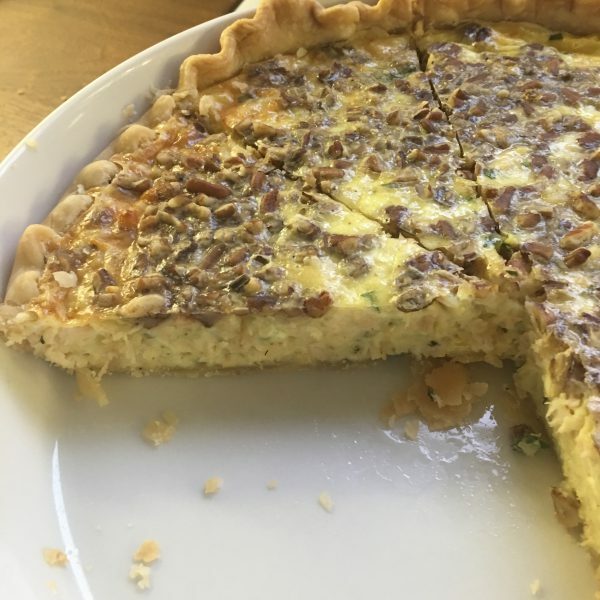 I never have thought of pecans with a chicken quiche but I will have to give it a try because I do love pecans. Enjoy every minute with your girls. Kim, I am not sure how I am going to leave these girls to go back home. How I wish they lived closer.